The New Deanery and St Mary’s Court care homes in Braintree have been presented with a certificate of commitment, from the Minister of State for Community and Social Care, after pledging The Social Care Commitment. The commitment is the care sector’s promise to provide those who need care and support with high quality services. By making this pledge, The New Deanery and St Mary’s Court are publically committing to high quality care and investment in their staff to ensure confidence in the support they offer to their residents. 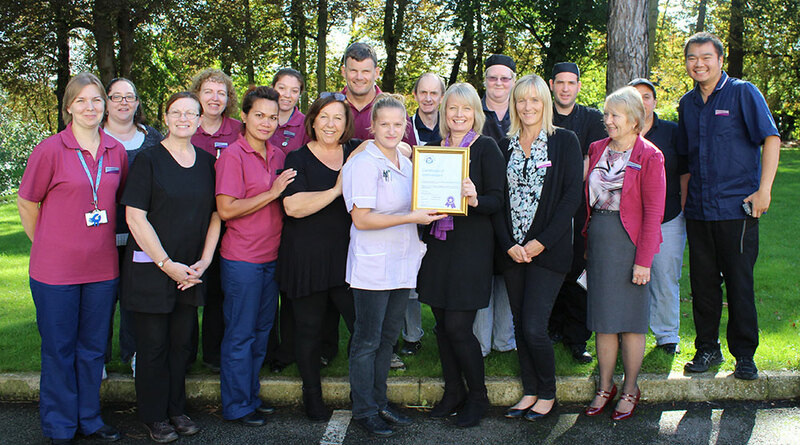 To receive the certificate both care homes have also committed to continue to support staff training and development in order to build the public’s confidence in the residential care sector. Julia Clinton, Chief Executive Officer of Sonnet Care Homes, the parent company of The New Deanery and St Mary’s Court, said: “We are passionate about providing the best possible care and service for our residents and believe this can only be achieved through a really committed and caring team of people, who are carefully selected and well supported throughout their employment.